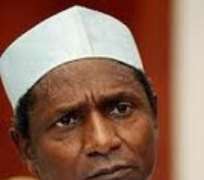 A non-governmental organisation (NGO), Centre for Social Justice (CSJ), has called on civil society organisations (CSOs) to consider a mandamus action against President Umaru Yar'Adua over his continued refusal to appoint and inaugurate the National Council on Public Procurement. CSJ also enjoined the National Assembly to ensure that the President obeyed the laws of the land by appointing the council required of him under the Public Procurement Act. Eze Onyekpere, Lead Director of CSJ, made the call at a news briefing on Wednesday in Abuja. He blamed the President for the series of scams in the country which he attributed to non-existence of the procurement council. He challenged the Economic and Financial Crimes Commission (EFCC) and the Attorney General of the Federation to rededicate themselves to diligent prosecution of all procurement related frauds, particularly those of the Rural Electrification Agency, Universal Basic Education Commission, Halliburton and Siemens scandals. Other recommendations of the organisation according to Onyekpere, includes that "the Bureau of Public Procurement should in accordance with the provisions of the Act open up procurement process to the observation of civil society firms as against the current practice of merely inviting civil society to watch the bid opening process.